These blogs originally appeared over the course of a week between Monday 20 and Friday 24 February 2017. However, for those who want to read the story of Oban Gin all in one go, I’ve brought the whole thing together in a Guardian-style long read. Just an initial warming – the whole article runs close to over 3,800 words, so be prepared! And enjoy. 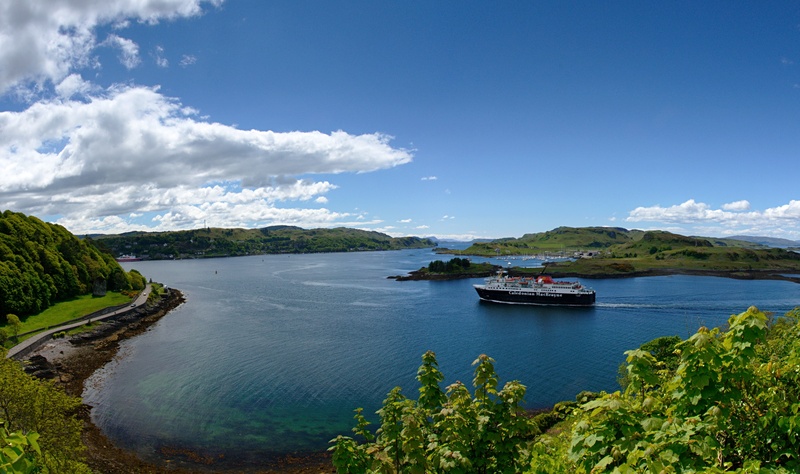 Over the festive period, I headed home to Oban for a well-earned rest and Hogmanay celebrations. When meeting-up with friends and family, one question was on everyone’s lips – what do you know about Oban Gin? Well, where to begin? Although I’ve been aware of the concept of Oban Gin for over two and a half years, the lack of progress has meant I’ve kept a keen eye on it over the past 12 months. Information isn’t easy to come by, but it’s out there and I thought I’d bring it all together in one place. So, here it is – the definitive story of Oban Gin. From its beginnings, to recent developments, right up to where I think the concept is going. Before I start, a few disclaimers. The information you’ll find in these blogs is, to the best of my knowledge factual. If anyone would like to dispute the facts, I’ll happily listen to their argument but would need to be presented with evidence to the contrary – “I didn’t like what you wrote” isn’t going to cut it. I’m discounting rumour and hearsay as a) it’s bad journalism and b) it’s potentially libellous. However, I won’t shy away from pointing out awkward facts in a bid to explain a story which, until now, has defied explanation. Ready? As with most start-up brands, Oban Gin started on social media with posts on both Twitter and Facebook. And the idea of it got me excited. As regular readers of this blog will know, my passion for whisky was fired by my time working as a tour guide at Oban Distillery. For over 200 years, the distillery has been producing first class whisky to send to the four corners of the globe; and taking my home town’s name with it. Now, off the back of the current gin renaissance, someone planned to launch our town’s second spirit – Oban Gin. Personally, I find that the gins coming from Scotland – Rock Rose, Botanist, Pickerings, Edinburgh Gin, the list goes on – are some of the best on the market, and hoped that Oban Gin would live up to, if not exceed, the high bar these brands have already set. If my memory serves me correctly, those first social media posts were made in mid-to-late 2014. Normally I’d go back and double-check the relevant social media accounts. Unfortunately, the @ObanGinCo account was recently purged of every single Tweet ever posted (Tweeting recommenced on 28 January). The Facebook account has gone through a similar amount of expunging, with only a smattering of posts remaining. And since those first posts in 2014 we’ve seen…nothing. Well, maybe not nothing. Those following Oban Gin online have been presented with plenty of teasers – distillery plans, potential casks, empty bottles, pictures of stills – with the distillery and its gin always just over the next horizon. Also, I believe a few competition winners may have received a small sample bottle of oak aged gin in the latter part of last year. Whether you can call this Oban Gin or not is up for debate. However, I’ve never met or spoken to anyone who has tasted this liquid. Part 2: Who’s Behind it? So, who is behind this entire project? Well, let me introduce you to Dave Robertson. From what I’ve been told by a few friends at home, Mr Robertson appears to be a native of Oban. His most recent job was as a web designer, but news reports say that he was a member of the British sailing team in his youth and has worked in the hospitality sector. Bar that, I can’t give you much personal background. However, Oban Gin isn’t his first foray into the drinks industry. Back in March 2013, news of the Forth Bridge Brewery first appeared and Mr Robertson was the face of the new venture. This first news piece said that a new biomass-powered brewery would be built on the shores of the Forth, with £240,000 of crowd-funding getting the project off the ground. The brewery was to target the market for lower-alcohol beers, as the then Chancellor, George Osborne, had cut the duty on beers below 2.8% ABV in 2011. Fast-forward to November 2014 and these plans had ballooned. Now, the brewery would also house a whisky distillery – with £3 million now needed to bring the scheme to fruition. A massive 110,000 litres of beer, whisky, vodka and gin were promised EACH WEEK, with a “top secret” method used to speed up the aging process of the spirit. Again, it was promised that the brewery and distillery would be fully sustainable, despite now including a restaurant, bar and 20,000 annual visitors. Crowdfunding took place for the brewery, with The Times claiming that by April 2014, £14,000 had been raised. Nowhere near the £240,000/£3m needed, but a start. If you go down to the banks for the Forth today, then you’ll see that the brewery has never materialised. Were the initial plans viable? Well, I’ll leave beer blogger Richard Taylor to answer this question. At the tail end of 2015, Forth Bridge Brewery won a Digital Marketing Award for The Pitch UK for the “Beer Testers Wanted” campaign, which the brewery ran. The LinkedIn blog which promises the brewery’s first beer by the start of 2016, but those tasters must be pretty thirsty by now, as no beer has ever appeared (again, if anyone has information to the contrary, please let me know). And you’ll struggle to get any further updates on the brewery, as it has completely disappeared from Facebook and the website has been taken down. The Forth Bridge Brewery Twitter account still exists but has been protected. And as it turns out, there even a Forth Bridge Gin account. And one for the distillery too! Whilst writing this blog, I managed to get in touch with one of the investors in the Forth Bridge Brewery. Although she would prefer to remain anonymous, she gave me a full and frank explanation about her investment and where it currently stands. On 17 August 2013, she purchased a “Beer for Life 150” crowdfunding option. This, as the name suggests, cost £150 and promised beer for life. On the same date, she also purchased 100 shares at £1 each. Both were made via the Forth Bridge Brewery’s own (now defunct) website and she was given a username and password. She explained that the small print showed that the crowd funding money would be returned if the target was not reached within twelve months of 9 March 2013 – so she would either receive her beer or money back by 9 March 2014. She also received a share certificate by email, with a note that the paper version would be posted out “in due course”. As mentioned earlier in this post, the plans for the Forth Bridge Brewery changed dramatically and would also include spirit production. However, as her initial investment had been made due to the green credentials of the original project, she immediately e-mailed the admin address on the website, seeking clarification and a return of the money. No reply was received. On 10 March 2014 – the day after crowding funding money was due to be returned – the investor checked the terms and conditions only to find they had been changed, with the clause relating to the refund date now changed. She posted a comment on the Forth Bridge Brewery’s Facebook page querying what was going on, and whether the T&Cs could be changed without informing investors or crowdfunders. The reply was that the T&Cs had been changed in January and that crowdfunders WERE NOT investors. However, having bought £100 in shares, she believed she was an investor as well as a crowdfunder, and that the T&Cs had changed overnight between 9 and 10 March. This exchange was then deleted from Facebook. Due to personal difficulties, the person providing me with this account was unable to pursue the issue. But three years on, she has neither beer nor returned funds to show for her investment. Towards the end of summer 2016 and into the autumn, things with Oban Gin seemed to step up a gear. The now reactivated social media accounts have been demonstrating some activity, including the arrival of a still and Adopt A Barrel certificates being sent out to investors. I believe that Mr Robertson has also made the business his full-time job now. As I’m sure you’ll agree, there are still a number of questions around the whole Oban Gin project. And in a bid to get to some answers, I thought the best option was to give Mr Robertson the right to respond. Where will the gin be made? I’ve heard that it’ll now be made in Edinburgh and simply labelled Oban Gin. If it’s currently made being elsewhere, what makes it Oban Gin? And when do you envisage production will transfer to Oban? Do you agree there’s been a lack of clarity/transparency around the plans for Oban Gin since it was first announced? As you are using the town’s branding/identity on your products, do you feel you have a responsibility to engage more with the local community? Why have you chosen to produce an oak aged gin – a style which often doesn’t resemble the classic gins on the market? Can you explain the “Adopt A Barrel” pricing, whereby those who paid £500 get a 30-litre barrel but those paying £1,000 only get a 50-litre barrel? Why has the vast majority of social media activity – on both Facebook and Twitter – been purged recently? Is there any update on your other venture, the Forth Bridge Brewery? Instead of sending me back a response, Mr Robertson decided we should meet for coffee in the centre of Edinburgh, which I was happy to do. We met at the following week. And on arrival, Mr Robertson presented me with a Cease and Desist Order. For those without a legal background (me included), a Cease and Desist Order is a document sent to an individual or business to halt purportedly illegal activity (cease) and not take it up again later (desist). I was told this had been drawn up by Mr Robertson’s lawyers, and that he was currently taking legal action against both The Oban Times and The Times for the pieces they’d written in early January. Now, this was strange for a number of reasons. First, you can’t present someone with a Cease and Desist Order before they’ve actually done anything. Also, the letter I was issued with was clearly a copy and paste from this website – not the sort of thing I’d expect from expensive Edinburgh lawyers. Finally, speaking to contacts at both The Oban Times and The Times, I’ve been informed that no legal proceedings have been instigated by Mr Robertson against either publication. Stranger still, we then sat and spoke for 45 minutes about his plans for the distillery! Although he told me plenty of information which isn’t currently in the public domain, to protect myself legally, I’ve decided not to share any of it here, in case I’m accused of misrepresenting his words. Suffice to say his plans are…interesting. The meeting was a real disappointment for me and a missed opportunity for Mr Robertson. After months of speculation and bad press, this was his chance to put his side of the story forward. Instead, he pulled up the draw-bridge and refused to engage – a pattern which continues to present itself. However, as the blogs from this week will show, I refused to be scared off by threats of legal actions. I also felt a responsibility to bring this story together, after others – mainly The Oban Times – refused to have anything to do with it, despite my best efforts to demonstrate the value and importance of the story. Everything up until this point has been the factual story of Oban Gin, which anyone could have brought together in one place with a bit of hard work and some digging around. But I feel it’s time I draw some conclusions from the information I’ve shared with you this week. The same rules apply – no rumour and everything will be based on the facts. But the fact this whole situation has got to this point has made me angry and it’s time to round up why. What has struck me in my years of watching this story unfold is the complete lack of respect Mr Robertson has shown to both sets of his investors. Unlike the Oban Gin investors, who are relatively new to all this, the investors in the Forth Bridge Brewery appear to be merely a ripple in Mr Robertson’s wake. Those I’ve spoken to this week never expect to see their money again. True, some have had refunds, but it has been an uphill battle, with most refunds only secured upon threat of legal action. Although the sums they have invested may seem small to some, it’s the principal of the matter. These people took a punt, and although initiatives like this can often fail, the manner in which these people have been strung along FOR THREE YEARS is nothing short of disgraceful. Oban Gin investors are in a slightly different position – their investment is new, there’s a gradual drip-feed of information about the project, and there is the hope that they are the lucky ones and this won’t be a repeat of the Forth Bridge Brewery project. However, the patterns seen with the brewery are starting to repeat themselves. Bottles of gin bought in July and promised in September STILL haven’t materialised. And when refunds are requested, it’s a struggle to get them. In my opinion, Mr Robertson owes the people of Oban an apology. If we were sitting here discussing “West of Scotland Gin”, for example, I doubt the furore would be as strong. 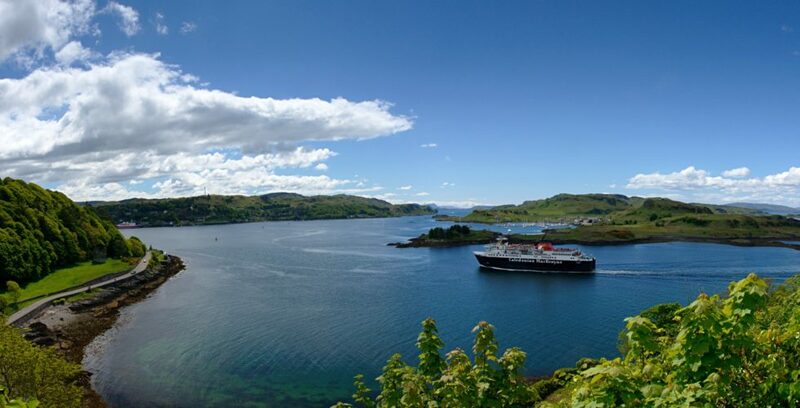 However, the fact that Mr Robertson has harnessed the town’s good name and its most famous landmark – McCaig’s Tower – in his endeavour, has gone part of the way to riling people up. When you are from a small town such as Oban, people take pride in things like this. They are happy to support those who are careful custodians of such properties, including the town’s whisky distillery. But when the town’s name becomes a byword for controversy, then it’s understandable that support will start to ebb away. The fact the gin will no longer be made in the town only serves to make this all the worse, with the town’s well-established tourism industry unlikely to benefit from the Oban Gin project. Having watched Mr Robertson’s activities from the side-lines for a number of years, I’ve positively winced at his approach. The template for this was clear with the Forth Bridge Brewery, which ballooned from a small(ish) £250,000 project, to a sprawling £3m initiative. The same seems to be happening with Oban Gin. The vast majority of start-up spirit brands will have someone else make a gin to recipe to start with. This allows a new entrant to the market to build up their brand and a loyal market following, before they strike out on their own and buy equipment, premises, etc. It’s a tough way to go but many of the best-established gin producers today started this way. Instead, Mr Robertson seems to want to go from zero to Bombay Sapphire in the blink of an eye. Doing things this way is literally like burning money, which is fine if it’s your own, or you have a backer with deep pockets who doesn’t care what the outcome is. But he appears to be gambling thousands of pounds of other people’s money on a venture with very shaky foundations, and ignoring his responsibility to them to do things the right way. But could it all turn out alright? Well, possibly. But possibly not. I don’t have a crystal ball, so can’t predict the future. However, I’m a realist, and the weight of evidence pointing towards “no” far outweighs anything I’ve seen to the contrary. I sincerely hope I’m proved wrong and this has all just been one, long, three-year bump in the road. I’ll eat my humble pie and wash it down with some Oban Gin. After which I’ll give you my thoughts on it, naturally. Every brand has an origin, so successful or not, this information will remain online and will hopefully be a warning to others. If I’m honest, I don’t have a clue. I’ve had some limited dialogue with Mr Robertson this week and he’s apparently got his own blog planned, which will probably either be an attempt to discredit me or another “big announcement” to distract from the issues of the past week. Either way, I hope you’ll agree that everything I’ve written has been based on – or can be backed up with – facts and evidence. And it’s important that pressure is maintained, whether it’s by me, the investors or someone else entirely. Something isn’t right here and hasn’t been right for a very long time. My reach and influence only extend so far, but it needed someone to get the ball rolling and present the evidence. I feel this isn’t the last that you’ll read about Oban Gin, as the story still has to come to a head, one way or the other. But, like all good stories, the fallout is quite often more interesting than the story itself. Thanks for your time. And I’m sure we’ll speak soon. A couple of thanks before I finish. Thanks to those who pushed me to write this and listened to me ranting about it for months on end. Thanks to a good friend for providing the photography of my beautiful home town. Thanks to my crew of fact-checkers, proof-readers and sounding-boards. And thanks to all those who sent kind messages of support during this entire endeavour. Hi, This guy worked for me for years total fantasist. He was known as “Dangerous Dave” .He worked as a barman for me and Sodexo and Blue Arrow recruitment. He told everyone he had a yacht in New Zealand,he was at University in the USA with Gwen Stafani,he was an electrician for 7 years.Be aware he is a complete shyster. He should be reported to the fraud squad.